Class 86 259 on Saturday 19th May 2018 at Kings Cross station on a charter. The entrance at Kings Cross on Saturday 19th May 2018 befor it got busy. 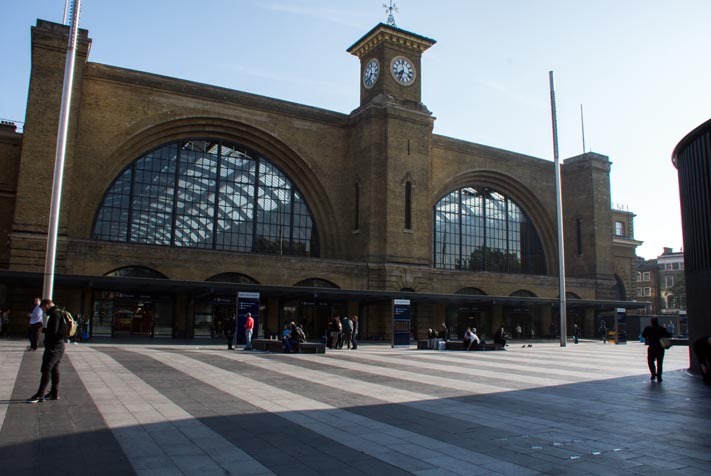 Kings Cross railway station is one of the main London stations. The station is in the North of London. 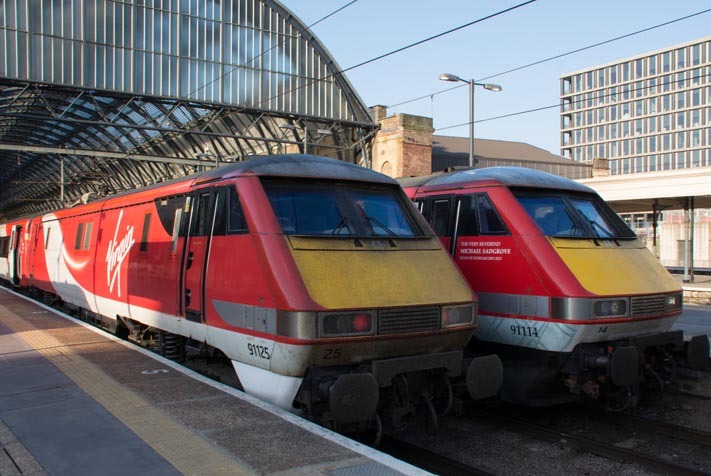 Trains run from here to the North East via the East Coast Main Line (ECML) to towns like Huntingdon and Peterborough. Then its on to Grantham and Newark, Doncaster, York and Durham to Newcastle. 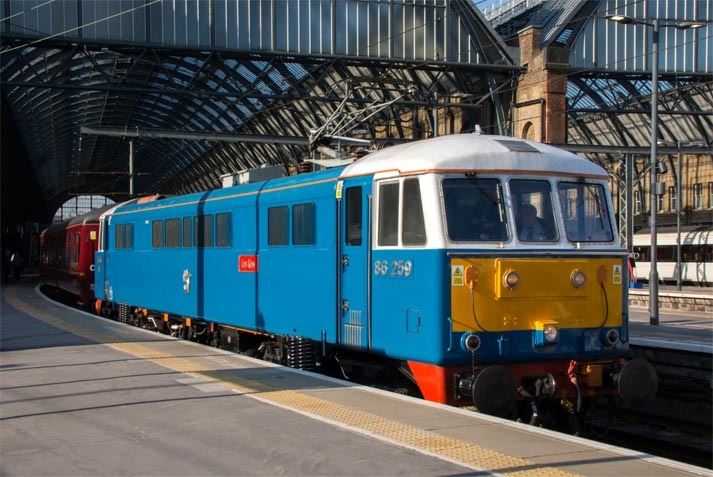 Then into Scotland to Edinburgh were trains can go to the rest of Scotland including Glasgow and Aberdeen. 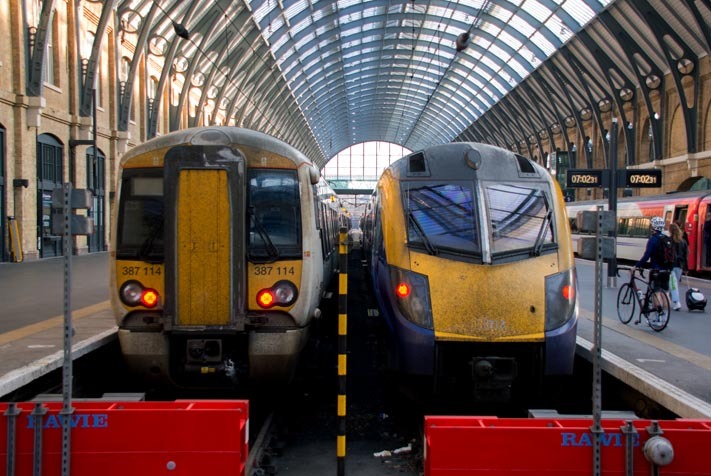 Trains also go to Cambridge and Leeds. Kings Cross railway station is one of the main London stations. This page was taken on the 19th of May 2018in the morning .